Google Home Mini is ready for your questions, just go ahead and ask. Use your voice to quickly find information about the weather, news, sports, and more. It has the power of Google Search, Maps and more, built right in. Get help around the house with things like your schedule, commute, travel information and more. Google Home Mini can even make hands-free calls to any personal contact or business. 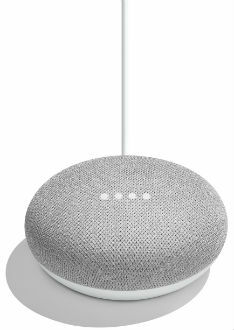 When you combine Google Home Mini with a Chromecast device, you're able to control your favourite entertainment with just your voice. Play movies, music and shows from partners like Netflix, Youtube, Spotify and more. Control your smart home with just a few words. Use your voice to control compatible smart home devices like light bulbs, switches and thermostats. Get personalized information that's just for you. 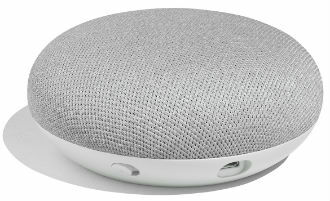 Google Home Mini can distinguish your voice from others, so that everyone can hear their own schedule, commute times, daily briefings, playlists and more.